Creating a QR Code is a great way to give your customers, and potential customers, quick access to your restaurant’s menu. Our QR Codes direct people directly to your free mobile website on OpenMenu – we handle generating the link for you to make it even easier. 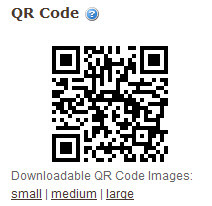 Read more about QR Code then check out our article on “What is a QR Code and why does my restaurant need one?“.